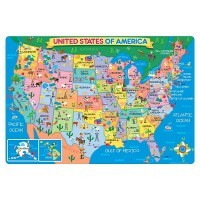 This horse themed giant floor puzzle by Shure features colorfully detailed artwork, presenting popular horse breeds for children in the most attractive way. Horses are amazing animals and long-time human friends. Children love to ride horses, play with toy horses, and now they can learn more about horse breeds with this giant floor puzzle by Shure. 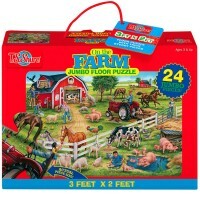 The Horse Breeds Jumbo Floor Puzzle includes 24 oversized jigsaw puzzle pieces. This horse theme puzzle from Educational Toys Planet features colorfully detailed artwork, presenting popular horse breeds for children in the most attractive way. 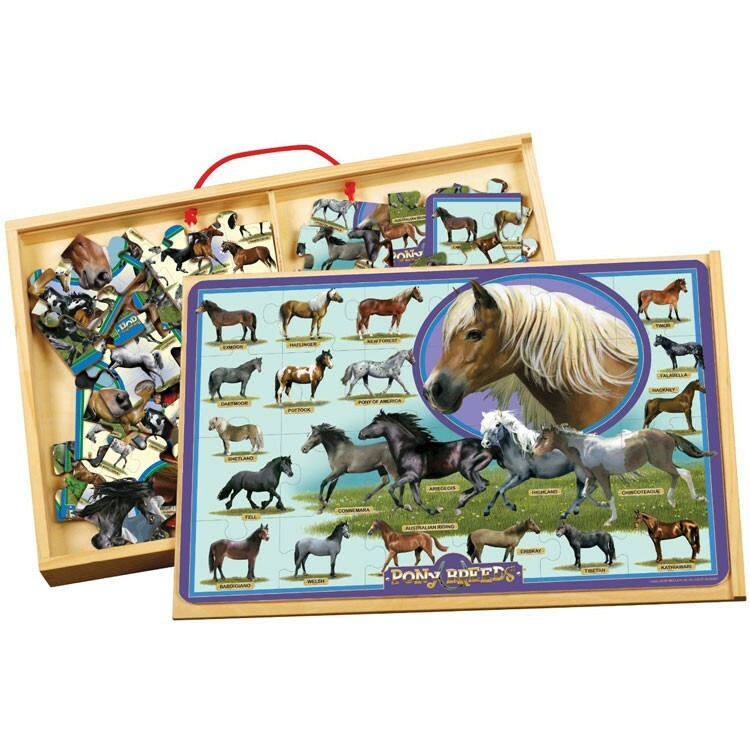 The Horse Breeds Jumbo Floor Puzzle comes with the convenient vinyl storage bag with the carrying handle. 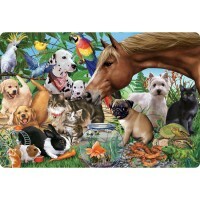 Assembled Horse Breeds Jumbo Floor Puzzle measures 2 x 3 feet. 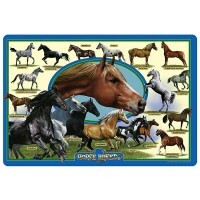 Dimensions of package 9" x 14" x 1.5"
Write your own review of Horse Breeds Jumbo Floor Puzzle. 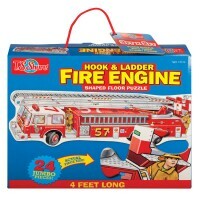 Rating: 5 Five Stars by By A customer Pieces are well done and easy to manipulate. 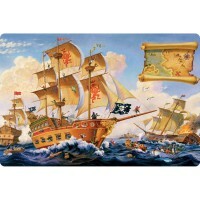 Rating: 5 Fun Puzzle by By A customer My grandson loved this puzzle set. 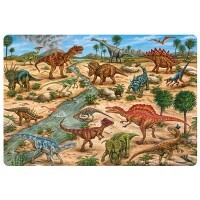 Rating: 5 Great Puzzle by By A customer I have two sons one is 5 and the other is 3. 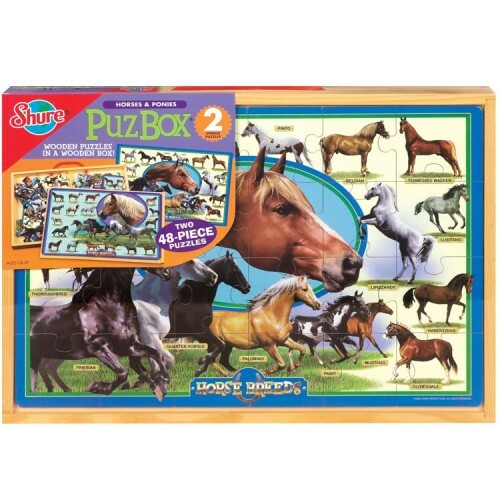 I've purchased the Horses Breeds floor puzzle Shure Horse Breeds Floor Puzzle for the youngest one and got this one for the eldest. It's a great product. The illustrations are gorgeous and the quality is very good. 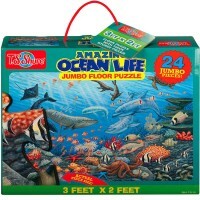 I like the fact that it comes on a wooden box for easy storage and has an inside division for each puzzle. 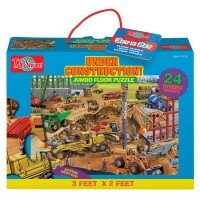 My son can assemble the puzzle on the box cover. Is great!